**Below are only a few testamonials from my puppy owners. Feel free to click the link above for ratings and reviews from previous customers of Highborn. If you are a Highborn Puppy Owner or have had dealings with Highborn, please feel free to leave a rating at the link above!! Thanks in advance for rating me!! that I was searching for....and all that you stood for. wellbeing of this breed, and our 'ELI' specifically! no kidding! Each frame, more precious than the one before! I have been blessed with two amazing friends throughout this journey. enlarge our family with his presence. Hello. My name is AJ, short for Amir (Prince) Jordan. 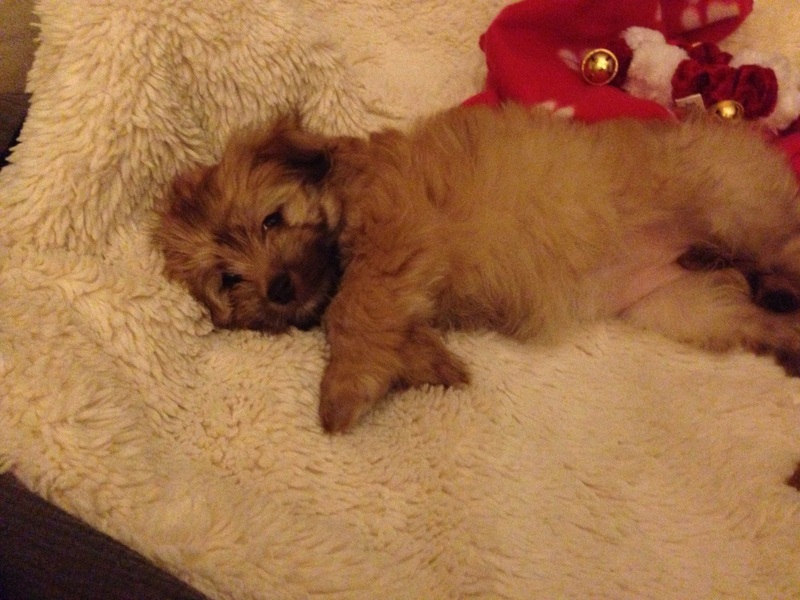 I am a Highborn Havanese red sable chocolate pup. I would love to tell you about the Highborn Havanese and Ms. Julie Pollock, Owner/Breeder of Highborn. My new mom, lost her heart beat at her feet, her precious Lhasa Apso, Jordan. 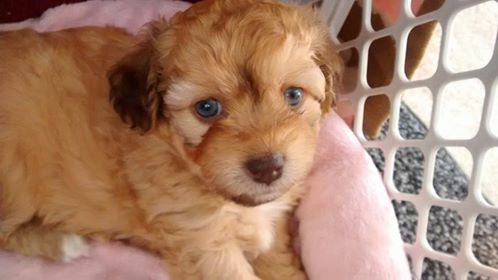 So my new dad started researching a new puppy for mom. Dad’s first step was to talk to their vet to see what he recommended for mom. Vet highly recommended the Havanese breed, provided they could find an excellent breeder. Havanese are an excellent lap dog, very intelligent, healthy and loving. 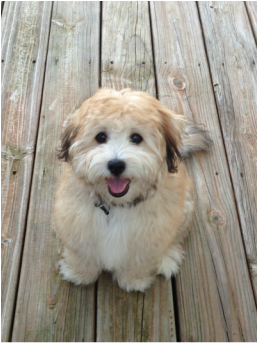 He emphasized finding a good breeder to be sure you have a healthy pure breed Havanese. After several months of research, looking from Pennsylvania, to Arizona, California, Florida, Washington State, North and South Carolina, Tennessee and Mississippi, mom stumbled on to Ms. Julie of Highborn Havanese website. After reading her website she asked dad to call and talk to her (mom was still to broken to talk). Dad was extremely impressed of her knowledge, warmth and love of the Havanese. He was even more excited to learn that her fur babies are raised in a Christian home with both the mother and father of the pups. Ms. Julie told dad at that particular time she did not have any pups available, but that she would be more than happy to help him find another breeder and help us in any way, answer any questions we may have and help with the adoption process. That is love. Mom and Dad visited several homes with Havanese in Alabama and Georgia and talked to numerous breeders over the next few months. One breeder informed my dad that they could not come and see the pups and that they would pick out the puppy that fit our personalities and the pups. Gee I wonder why? Before I finish, please let me have a couple more minutes of your time. Some interesting information on Highborn Havanese. Ms. Julie started with Litter “A” when they arrived, and each pup’s name started with “A”. Not just any ole name, but always a Biblical name starting with that letter. Each subsequent litter was B, C, D…….. you get the idea. Several months after dad starting talking with Ms. Julie she informed him that Litter “I” had been born and all have been spoken for. Dad asked to be put on the waiting list and God love her, she had already done so. Shortly, Litter “J” came with 5 pups. As luck would have it, mom and dad were number 6 on her list. Mom wanted a little boy and there were 3 of us. Joshua, Jacob and me, Jordan (what are the odds, mom lost her Jordan and here I was named Jordan). After she posted their names, dad went to mom and told her she wasn’t going to believe this but she named a pup Jordan. Mom’s heart sank. Her Jordan somehow came to her to help comfort her, knowing where they were on the list and that they probably would have to wait for the next litter. Who would have thought? Someone dropped out, and she was down to 2 little boys left. Dad had already told her if possible, he would love to come and visit and would like to have Jordan. Ms. Julie talked to the other couple wanting a pup and through the grace of God they told her that mom could have her pick of the 2 boys. Mom and dad came to visit me. Mom cried and cried, thought she was cheating on her Jordan, but dad knew better. He told Ms. Julie he would take me. Upon their visit, they met my mom and dad, Sadie and Zeke. They saw how beautiful and CLEAN her home is and how she nursed all of the pups from birth to the day we were adopted. All of us pups for the first 6-7 weeks of our life were loved and cared for by a beautiful Christian lady. Ms. Julie has a loving husband and two great teenagers. During our time at Highborn Havanese we were loved and cared for by all and when she had church groups over all of them loved and cooed over us too. Consequently all of us are people dogs. We love everyone because we were so loved by all. Dad and mom picked me up when I was 8 weeks old. Mom thought that was a little young, but Ms. Julie reassured mom that I was healthy and would be okay. She told mom and dad all about my food, toys, handling me, and caring for me. Oh, and did I tell you that I WAS crate trained at 8 weeks? Ms. Julie is GREAT. Finally I saw my new home. It was nice to be there, but mom was still not so sure because of her love for lost heartbeat. But I knew better. I became her Velcro dog. Where ever she went, I went. I actually wiggled and loved my way into her heart. I have told my story, I’ll let mom tell you a little. Highborn Havanese is by far the best breeder of Havanese that my husband and I have visited and/or spoken to. So much so, that I am looking at and wanting to adopt another Havanese, but ONLY from Highborn. Upon adopting AJ, she told us to visit our vet to get a healthy check-up and if there was anything wrong to let her know immediately. I took him the next Monday and our vet told us he was not only of the prettiest Havanese but one of the healthiest ones he has examined. In fact, he asked us for her name and number for his clients. And did I mentioned AJ is one of the smartest and funniest dogs I have ever had the pleasure of owning? There is no doubt in my mind that God truly lead us to her and her to us. Too many little things miraculously came together. So miraculously AJ was born on Christmas Day. God sent another heartbeat to me! "Mocha is now 7 months old and we love her to pieces. She is so lovable, silly, and smart. A spoiled diva indeed. Julie has been very professional and helpful. Anytime I had a question or concern before and after we brought Mocha back to Idaho, she was more than willing to answer. She really knows this breed and how to make them lovable and smart dogs. Havanese are a very special breed and I love my sweet Mocha. I definitely would get a puppy from Highborn again." Mischief (Missy) at 5 weeks old~Still with the breeder here. She has beautiful green eyes!! We have had Mischief for a little over a month now and we couldn't be more overjoyed with her, and the entire adoption process. Ms. Julie allowed us into her home to check for my allergies (thankfully I wasn't!) at the beginning and another visit when the pups were a couple weeks old. We got to see all of the adults, and an array of tricks, that really showcase what the breed is known for. Upon receiving Mischief, we got a great care package that even a month later we are still using. Our girl is just about three months old now and is already mostly potty trained, knows how to shake, sit, jump on the count of three, and we are working on roll over. Our vet is impressed with our healthy and well rounded dog, including her coat and personality! If we ever decided on another pup, we will look to Highborn Havanese first! With Highborn Havanese we have found the most professional and loving breeder. From the day by day communication to the loving home nurturing during the puppy's early weeks, Highborn Havanese has nothing less than five stars. Our puppy Bear became an instant well adjusted member of our family of dogs and people. He was so well taken care of he slept the first night home alone in his kennel without much of a whimper. He continues to thrive as the happy Havanese that we were looking for as a companion to us and our 9 year old Beau. Hi Julie, I just wanted to take a minute to tell you how much we are in love with Ms. Fiona. In the few short days she has been with us she has already made an impact on our lives and hearts. She was definitely meant to be in our lives. I could not have asked for a better experience in buying a new pup after the loss of Emma and Winston. I appreciate your help and patience when I was having such a difficult time picking which one of these beautiful puppies to pick. I know I definitely made the right decision. You are your family are so nice and the love you have for the Havanese as well as all dogs is so special. If we ever decide to get a second dog you will be the first to know. I look forward to keeping in touch. This is Koda at 10 months old. 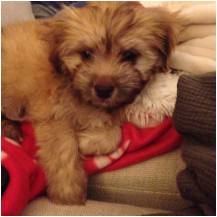 -We are so happy with the puppy we got from Highborn Havanese! Caesar has been a wonderful addition to our family. It was reassuring to watch videos of him playing with his litter mates as well as with Julie and her family while we waited to bring him home. I always knew he was well cared for and was getting used to living with people. I do believe there was a tear in her husband's eye the day we brought our little guy home :). Julie has gone above and beyond by also making herself available as a resource for training issues. Being first time dog owners, we have needed help from time to time. She has always responded quickly, providing wise and effective advice. I can't say enough about Highborn Havanese!